Loaded with features to help you drive more bookings at a lower cost. Increase bookings with a hotel website built to convert. 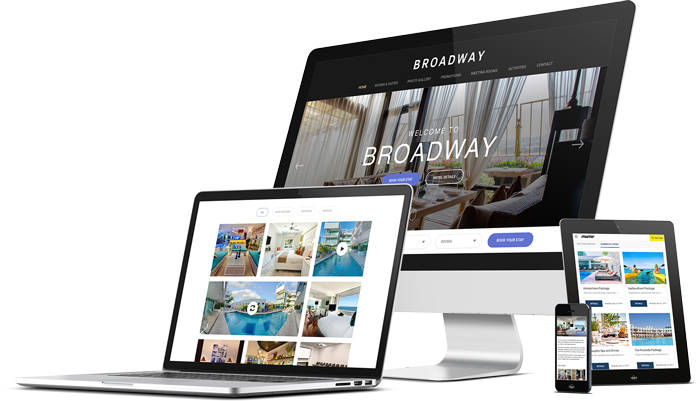 Choose from multiple website themes, with prominent calls-to-action on every page and easy navigation to your booking engine. Choose from a library of website designs purpose-built for hospitality and proven to drive conversions. Vizlly’s website themes follow best practices in user-experience (UX) – an important factor that influences Google search rankings. Entice travel shoppers with special offers, featuring beautiful images, titles, descriptions and terms and conditions. Publish visually-rich stories of your rooms, suites and overall accommodation. Vizlly supports room ID codes in your PMS, CRS and Booking Engine. 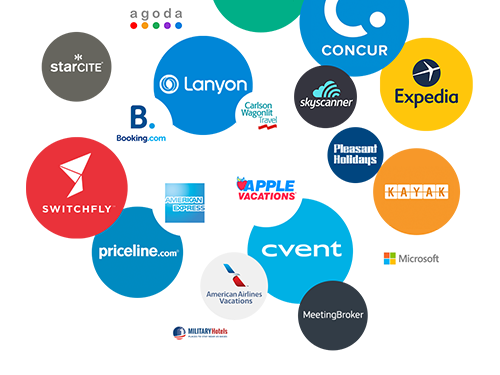 Vizlly’s seamless integration with leading booking engines ensures that your website visitors can book instantly, reducing your reliance on OTAs. Customize and personalize any Vizlly website design to match your branding guidelines. Add custom pages to convey your unique story. Create smartphone and tablet optimized websites to reach travelers on the devices they’re using to book travel. Choose from an optimized or responsive website design built to drive conversions on mobile. Vizlly’s mobile website designs have received the “Mobile-Friendly” label from Google, to help you rank higher in mobile search results. Choose from responsive or optimized website designs, and manage all your mobile websites in Vizlly, all served off your own domain. Display your media beautifully on every mobile device, with zoom, pan, landscape and portrait capabilities. There’s no limit on how many media items you can upload. Capture more direct bookings from smartphones and tablets with a booking link on every page of your mobile website. Publish mobile-specific Special Offers that integrate with promotion codes from your CRS or PMS. Schedule run days for special promos and make it easy for visitors to book. Make it easy for mobile users to book with click-to-call functionality, Google Maps integration and your property’s contact details all at their fingertips. Drive more qualified traffic to your website with an SEO strategy built specifically for your hotel by our team of hotel SEO experts. Get a comprehensive SEO strategy tailored to your hotel, to drive higher quality traffic that’s more likely to book. Our Digital Marketing consultants will create content tailored to your keyword strategy that is easily discoverable by search engines. Receive monthly SEO reports, plus a Success Coach will monitor your results and make recommendations to improve performance. Use Vizlly’s Facebook Apps to turn your Facebook page into a direct bookings channel. Showcase your guest rooms, events spaces, special offers and more in a visually engaging way and entice Facebook users to book directly, all from within the Facebook platform. Showcase your property within Facebook, with compelling media that displays large, loads quickly and is easy to navigate. Publish special offers for Facebook and make it easy to book using pre-populated offer codes in the check rates bar that integrate with your CRS or PMS. Turn your property’s Facebook page into a booking channel. Vizlly’s booking widget leads visitors down the booking path and fully integrates with your booking engine*. Manage and update your Digital Brochures for all channels in one place and get unlimited syndication of them through VNetwork, the world’s largest visual media syndication network. Publish digital brochures containing video, virtual tours, photos and descriptive text, with social sharing icons to help spread your story. Get unlimited media syndication through VNetwork, the world’s largest visual media syndication network. Manage and update your digital brochures for all channels in one place. Create targeted digital brochures for certain audiences or channels (e.g. corporate, event) and distribute them in real-time to specific travel websites. Use valuable insights from Vizlly Analytics to help inform your marketing strategy. 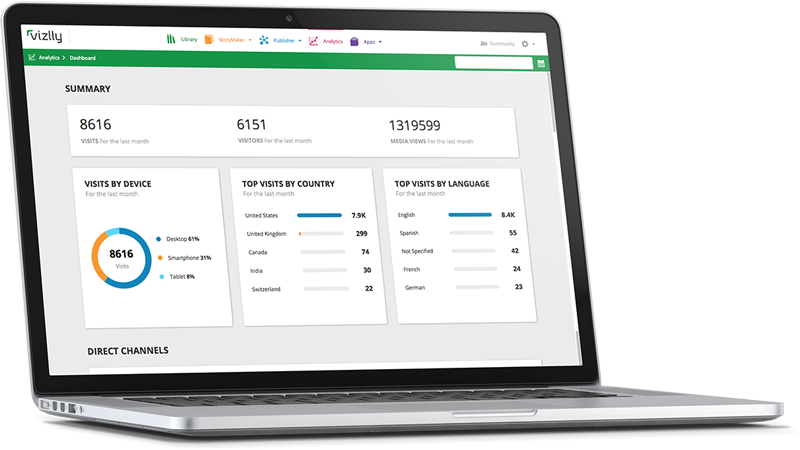 Integrate your Vizlly website with Google Analytics for standard tracking and reporting capabilities. Uncover additional data Google Analytics can’t provide, such as the most viewed images in your gallery. Priced just right for properties of every size.